For information about my international and local (Palm Beach Gardens, FL) homeopathy practice, click here or call 561-283-1336. Our children can absolutely be “recovered” from autism and PANDAS/PANS with homeopathy! These conditions can absolutely be “resolved”. These children can and do, with the use of homeopathy, go on to live normal, healthy lives with a bright future! But can they be “cured“? In the end, I’ve concluded that with homeopathy you can at least replace “my child has autism” with “my child is susceptible to autistic features”. Or “my child has PANDAS” to “my child is susceptible to PANDAS exacerbations”. Will they ever succumb to their susceptibility again? Well that depends on me (or your homeopath). And that depends on you. And that depends on your child! Most moms whose children have been recovered from autism or PANDAS with homeopathy will tell you that the efficacy is on the level of miraculous! But most will also tell you that they still have moments when they slide back (more so with PANDAS features than autistic features). To varying degrees. And these degrees rely upon many factors, which I will get into soon. First, let’s go over what PANDAS/PANS is, exactly. 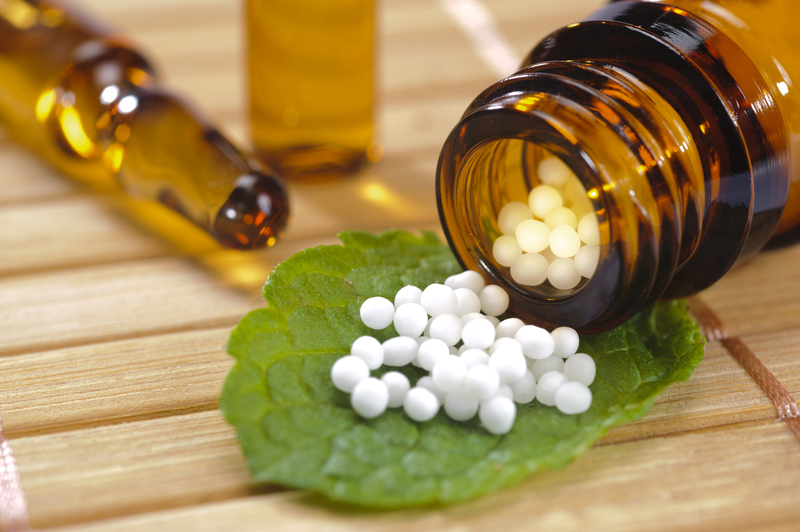 And if you want to know exactly what homeopathic medicine is, click here. PANDAS stands for Pediatric Autoimmune Neuropsychiatric Disorder Associated with Streptococcal Infection. What does this mean? This means that a child (or even an adult, but that is only the opinion of people who work with many PANDAS families) develops sudden neuropsychiatric symptoms, such as OCD, Tourette’s Syndrome, depression, separation anxiety, and/or sensory processing disorder as a result of a faulty, autoimmune response to the presence of “strep”. And over the years it was discovered that some of these children were having autoimmune responses to other pathogens as well (such as mycoplasma pneumonia, epstein barr virus, and borrelia bergdorferi and co-infections…aka Lyme Disease). Hence the birth of PANS, or Pediatric Acute-onset Neuropsychiatric Syndrome. Before my involvement with homeopathy my sons took…wait for it…25 medications and/or supplements each (yes, each) per day to maintain the few “gains” that they had gotten from western, or alternative medicine! And what did we gain from this? Their features of autism were reduced. But PANDAS symptoms were worse, constipation was not resolved, and their immune systems were still shot…to name a few of the many issues still on our plates. All to the tune of $1500 per month (not including doctor consult fees)! And I was unable to work as I managed all of the doctor appointments, shuffling of prescriptions, and ordering and administering of meds, supplements, B12 injections, topical creams, and the list goes on. Each day I thought to myself…we are barely surviving and this is just not sustainable…this is not a cure, this is an expensive “semi…sort-of…not really…resolution” to the problem…and what will be of their futures? Within 6 months of homeopathic treatment, my boys were off of all of their medications (Rx and over-the-counter) and about 75% of their supplements. These were replaced by a few homeopathic remedies which were very inexpensive, super easy to administer (put a few tasteless pellets into a couple ounces of water and sip) and oh-so-powerful. And I watched the gains “rack up”! Will they need to take homeopathic remedies for the rest of their lives? Will the autism regressions stop? Will the PANDAS exacerbations ever cease to exist? What Did I Discover? Is There a Cure? After asking these questions to countless other moms who came to homeopathy before me, and not really getting an answer that made sense to me or that I could wrap my mind around, I remember asking this question to my boys’ homeopath a few years ago before I took over their cases myself. And it was an “a-ha” moment for me when she said, “well they fell off the cliff once, they can fall off the cliff again”. Suddenly I got it. And I was a bit disappointed by the answer. But my experiences since then…with homeopathy, with PANDAS, with autism, with life in general…have allowed me to understand that, in the end, true, deep mental and emotional healing will depend partly upon the will of the individual. Homeopathy, and other deep, true healing modalities, are vehicles. Or catalysts. These vehicles can take you to miraculous places. But, what are you going to do when you get there? You still have your genetic susceptibilities. In the case of our children, their susceptibilities are: exposure to strep and other infections, inflammation, and autoimmunity. Can homeopathy change the level at which they react to these factors? Yes, when things are going well, perhaps one will not react at all when exposed to strep. However, when there is a bit of stress in the environment, perhaps one will get a few hives on their bodies or some kidney dysfunction causing urinary frequency from strep. Or if there is a lot of stress in the environment, perhaps one will have an asthma attack or worse a panic attack which looks very much like the start of a PANDAS exacerbation. And what about autism? Well, in my experience (again there is no hard data here to rely upon) with my own children, the families I have mentored and my own patients…generally there are a few regressions into autistic features in the beginning of treatment as the body finds balance. But over time (6 months, a year, 2 years? there is no set time here) they gain stability and most will not regress back into a state of autism. Having said that, if a family decided all of a sudden to stop giving homeopathic remedies and go get a bunch of vaccines for the child, sure, the susceptibility is still there and the child could possibly suffer a full regression. What are you going to make of your life with this new level of energy and vitality and perspective? What are you going to do about the aspects of your life which have been weighing you down? Will you have the courage to make difficult choices required of you to maintain a high level of health and live above your own susceptibilities? What type of people will you choose to associate with? Will they drain you or energize you? What food will you choose to eat? Salads over pizza? Juice bar over Tiki bar? What time will you go to bed? Will you choose yoga over drugs? Meditation over medication? Will you choose gratitude over dissatisfaction? Love over hate? Will you spend time in the sun, at the beach, in the forest…away from wifi? Will your packed schedule dominate your life? Will you be more worried about making everyone around you happy, or will you put yourself first (within reason)? Will you be so busy trying to impress everyone around you that you forget to care for yourself and live, eat, breathe, and experience life for yourself? So here it is. My answer to the question, “will my child be cured of autism or PANDAS?”: the environment which we create in our thoughts and in our own world will determine whether or not we rise above our susceptibilities. It is true that some of these questions can’t quite be answered yet by children who are recovered in their younger years. Much of their lives are being dictated by their parents. In this case, I hand these tough questions, questions I still have to grapple with for my own children and myself on a daily basis, over to the parents. Sometimes they may “fall off the cliff”. You may stop me here and say, “But Stephanie! PANDAS/PANS children are susceptible to the autoimmune effects of strep and other pathogens. This has nothing to do with choices!” To that I ask you to change your way of thinking about this illness. 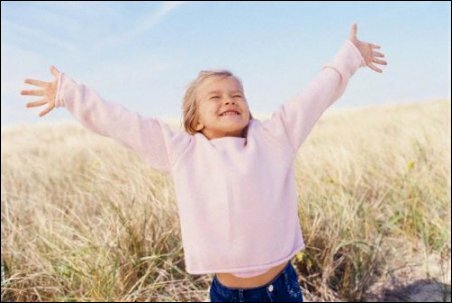 Homeopathy can help our children and ourselves to face and clear the unique deep limiting beliefs or emotional hang-ups which have left them/us more susceptible to disease. Homeopathy can help to strengthen the “terrain”. And yes, on a physical level this translates to healed guts, less permeable blood-brain barriers, and modulated immune systems. But the point, really, is when we are in an emotionally stable place, we can withstand exposure to pathogens better, or even completely. But homeopathy cannot make the choices for us which will ultimately continually further weaken or strengthen us, mentally and emotionally. So, it is worth saying again: the environment which we create in our thoughts and in our world will determine whether or not we rise above our susceptibilities. And in the end, if they “fall off the cliff again”, they can always go back on their homeopathic remedies!